Euro-stype hose clamp to fit the stock CR125 rubber intake Boot. Euro-Style Hose Clamp w/ Thumb Screw to fit the stock CR125 rubber intake Boot. NOT ACTUAL PICTURE SHOWN. Fits CRG made karts (CRG, GP, Aluminos, Zanardi, Maranello, DR, etc.). Fits most karts, except CRG made karts (CRG, GP, Aluminos, Zanardi, Maranello, DR, etc.). Race winning reeds from SRS engines. Include 2 reeds, 2 stiffeners & 1 EXTRA reed). There are many small items that go into prepping a powerful reliable stock CR125 engine for shifter kart racing. One item that is optional for stock engines under SKUSA rules is the reeds. There was a favorite reed setup for the 2001 and 2002 reed cages previously allowed by SKUSA, but what about the 1999 reed cages mandated for 2010 competition? Do the type and style of reeds really make a difference on the 1999 reed cage? SRS decided to find out by running dyno tests on a wide range of reed combinations, thicknesses, and shapes. The tests were quite enlightening. Although the stock reeds are surprisingly powerful, combinations of shape, thickness, construction absolutely make a power difference. However, one really surprising result is that most of the special combinations tried were more durable than the stock reeds during the tests. Some of these combinations are less powerful than stock and some produce more power than stock. Through a process of trial and error a reed setup emerged as the best performance setup. It is named the SRS Engines Dyno Select reed setup. The SRS Engines Dyno Select reeds were completely reliable during testing and produced and average of about ½ horsepower more that the stock reed setup from 11200 to 12400. That is passing power. CR125 Stock Moto Reed Kit from SwedeTech Racing. Same winning design used by current SwedeTech Engine customers. Stop wasting valuable time and money testing combinations that don't work. Buy the right stuff the first time. Optional reeds available to tune for different track conditions. Standard reeds include 2 reeds and 2 stiffeners. Optional tuning reeds include 1 reed and 1 stiffener. As with any engine part, double check with your racing association for legality. Same hot setup used on the 2001 reedcage setup. SKUSA and IKF Legal. 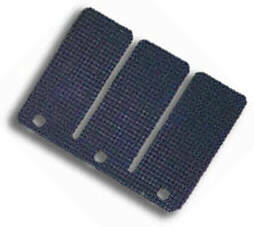 Carbontech 93-00 CR125 Reeds - CT102. Select from Light, Medium & High tension. 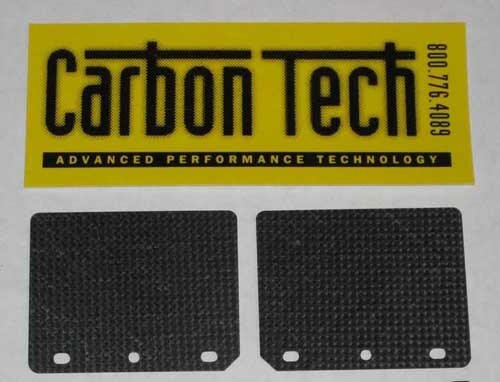 Carbontech 01-02 CR125 Reeds. Select from Light & Medium tension. 3x6mm screw with washer. Sold individually. 3-petal reed cage w/ stock carbon reeds. Air Filter & Air box mount support for the spec and Open 99 Honda CR 125. This Stainless steel bracket with foam padded cradle and bungee fasteners will work with straight or 5 degree RS Honda manifolds or the 30 degree stock intake manifold as allowed in IKF, WKA and SKUSA, it bolts to the large rear motor mount bolt. Comes as described, very clean and easy to deal with. 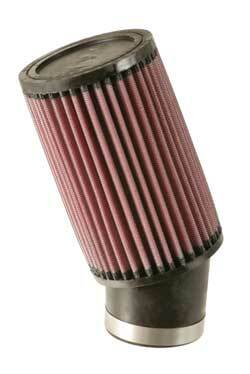 Keeps the carb and air cleaner from falling off under rough track conditions. Note: Filter not included. Perfect for 80cc & 125cc Shifter Karts. 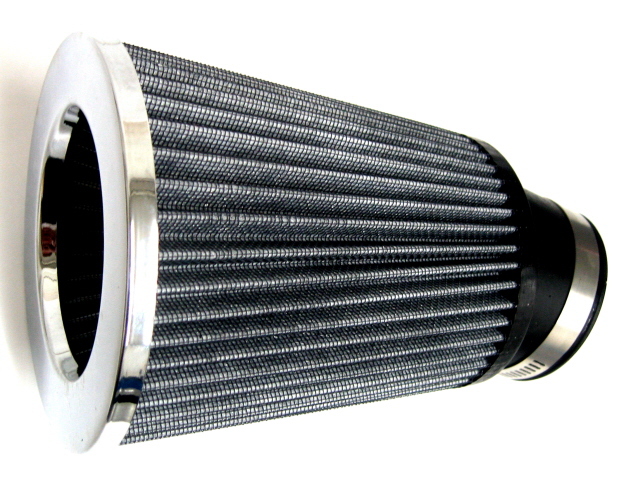 20 Degree inlet. Perfect for 80's & 125's that don't require airboxes. Mounting flange 2-7/16" 20 degree angle, base diameter 3.25", top diameter 5.25" overall filter length 7.25"- filter length 6" with additional internal center cone. 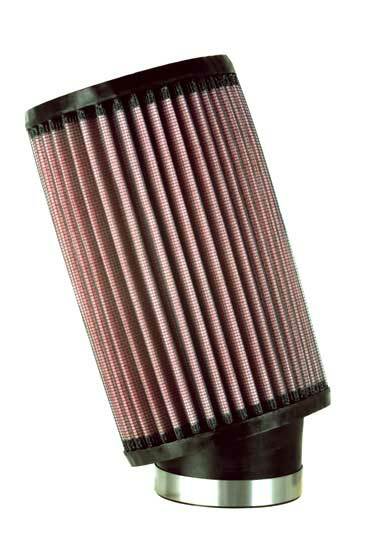 Recommended for the stock angled Honda CR 125 intake and CR80 Honda's.